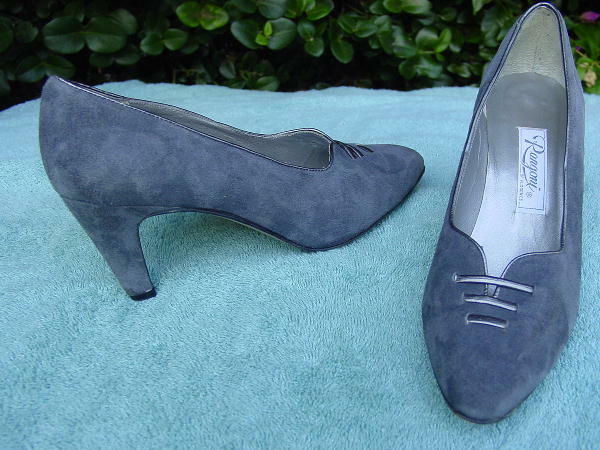 These medium dark gray suede pumps have three silver-tone gray leather straps running horizontally on the vamps and silver-tone leather cording around the edges. They have modified pointed toes and silver-tone leather linings and insoles. This vintage medium dark gray Hush Puppies pigskin leather purse is by Toni Handbags. The manufacturer's and Buffums department store tags are still attached. It's water and stain resistant. Pigskin is noted for its longer wearing qualities. 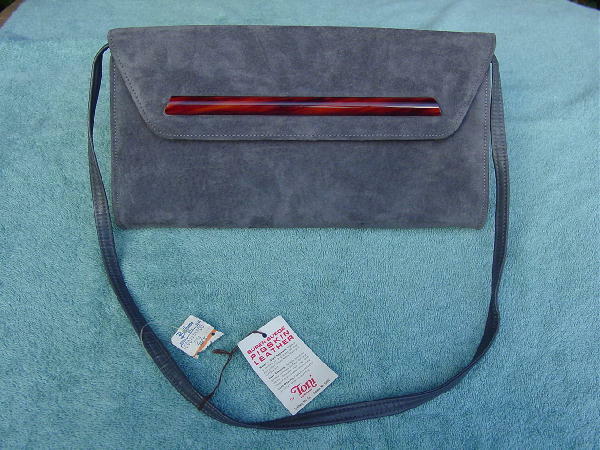 It has a detachable (2 snaps which have tarnished tops) 35" long gray leather strap, so you can carry it as a clutch if you want. It has an envelope styling with a horizontal plastic (lucite) bar on the flap. The bar is in auburn and freeform lines of medium brown. 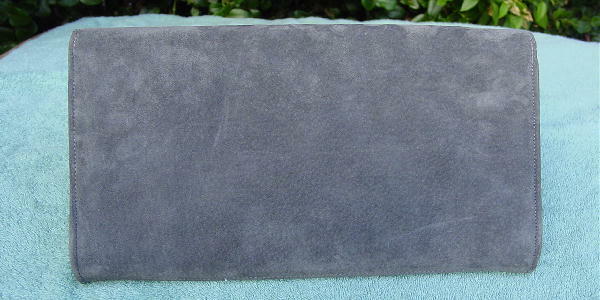 There is a one snap closure under the flap and the interior has a nice black fabric lining. It has one interior roomy zipper compartment. The pigskin is extremely soft. There's a great color match on the shoes and the purse. 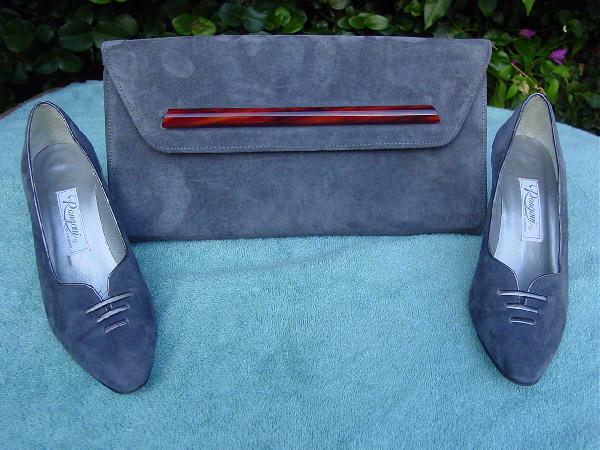 The purse was used in a magazine photo shoot, and the purse and shoes were worn in a film.